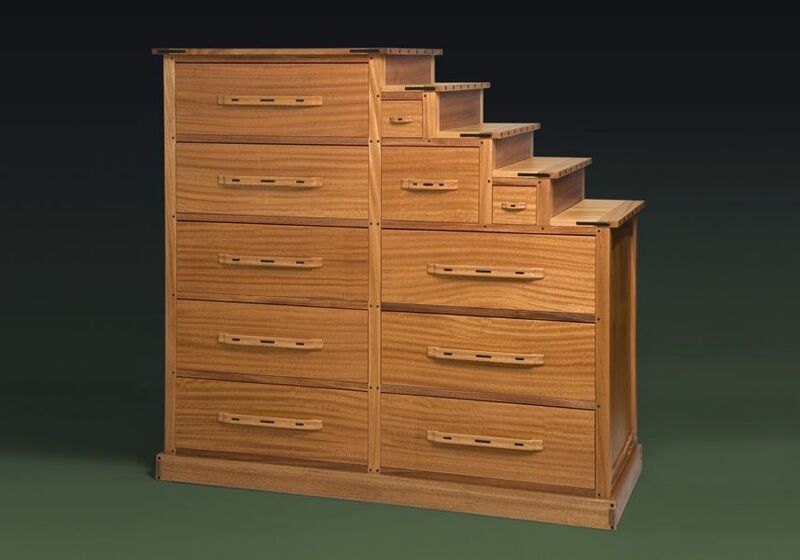 This Kaidan-dansu Chest or Step Dresser is fairly typical Japanese cabinetry. I added Greene and Greene style embellishments. It is shown in fantastically figured African Ribbon-stripe Mahogany with Ebony inlay. 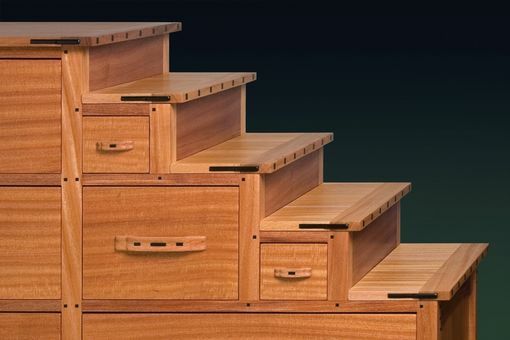 The "folded ribbon" drawer pulls are carved out of mahogany and touched up with ebony inlay.